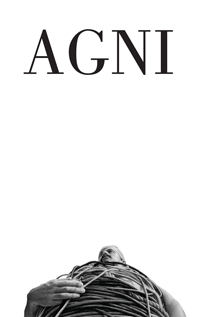 AGNI 73 arrived in my mailbox yesterday, so last night I read “It’s All Good” by Sigrid Nunez, whose work I’ve read and enjoyed before. Although in the end I liked this story very much, I confess that I was initially disappointed when it appeared that the story was “about” Alzheimer’s. Fortunately, it was much more than just another Alzheimer’s story. The narrator, a single woman in Brooklyn, speaks to her brother on the phone about their mother who is living in a nursing home, and then they jointly pay a visit on the mother’s birthday. There are lots of interesting details at work here: the mother’s dementia came on very quickly (and so Alzheimer’s, a word Nunez doesn’t use, might not be the problem); the narrator and her brother have different fathers–hers died suddenly and his walked out; the narrator and her brother, reasoning that they weren’t full siblings, were in love as children and thought they could marry until the adults set them straight; the brother, Beany, clings to his childhood nickname even now when he’s in his forties; the mother reacts to very little but she does react to the image of Brad Pitt in a movie, and so Beany gets the idea of bringing a Brad Pitt look-alike to her birthday. And eventually we come to an understanding of why she reacts to Pitt the way she does. It’s a very good story. Whenever I read a story in AGNI I concentrate on the opening line (because of Sven Birkerts’s essay in AGNI 63: Finding Traction). Here we have: “My brother calls like he always does after visiting our mother at Villa New Beginnings.” I don’t know how Birkerts would analyze this, but here’s what I get: voice (“like he always does” isn’t grammatically correct, but it is how many people speak, and so it gives some sense of this narrator, and we already have a point of view established by “my brother”); the name of the nursing home, Villa New Beginnings–and the visit to the mother makes it clear what kind of place it is–is brilliant. So, for me, it’s an effective opening.